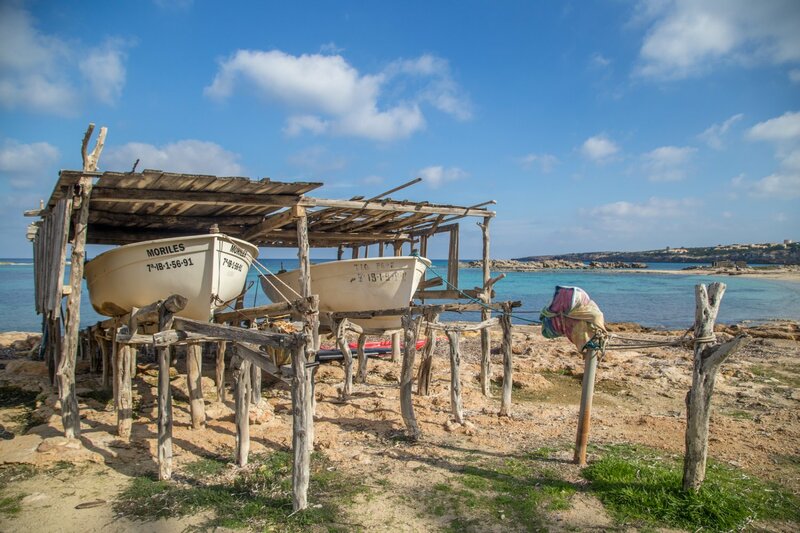 Go on the Discover Formentera trip and see the treasures of this delightful island during the low-season. If you want to explore Formentera, Ibiza's pretty sister island, a day trip with the great value, Aquabus Ferry Boats will get you there and around for a super price. All through the autumn and winter low-season, you can go on a fantastic one day trip that takes you around villages and landmarks plus a trip to the island's resort of Es Pujols. Leaving from Ibiza Town, the Aquabus Discover Formentera trip leaves every day between Tuesday and Friday each week for just €55 per person. The trip includes a visit to island “capital” San Francisco where you can see it's fine fortified church and the pretty central square of this old Mediterranean village. A stop for a delicious paella lunch in a San Francisco restaurant is included in the price. Journeys to the famous lighthouse at La Mola and the beach in the resort of Es Pujols complete the day's itinerary. At the end of the day, the Aquabus boat will whisk you back over to Ibiza getting in just before 19:00 leaving plenty of time for evening activities. Children and retirees get cheaper pricing and all Ibiza Residents can enjoy a good discount on the ticket price too. For a superb day out on this gorgeous island, the Aquabus Discover Formentera trip is just the job!